BEAUTIFUL LAKE to PRESERVE view, in Trailmark , zoned for GREAT SCHOOLS! 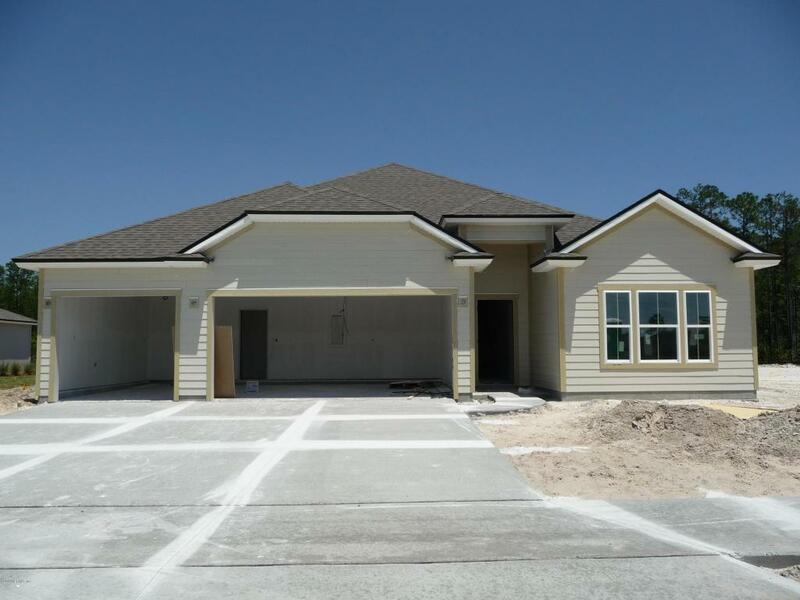 The Destin Key West plan features: OPEN PLAN with BONUS RM, (3) car garage, JHardie Lap Siding. Bay window at Owner Ste. Owner's tub, frameless glass shower. GOURMET Kitchen: Double built-in wall ovens, gas cooktop, "Charcoal" cabinets, Quartz countertops, tile backsplash, crown moulding, pendant lights, a large island and a walk in pantry. "Hardwood" tile, throughout the main areas. Rear Covered patio overlooks a large yard. Great Amenities include a FITNESS CENTER, Large Resort-Style Pool, including an Interactive Water feature, Camp-House for entertaining, Sports Courts of all sorts, Children's Playground, and Expansive Playfields for pick-up games. Walking and Cycling Trails and a Kayak Launch in Summer of 2018!Conveniently located to I-95, TrailMark is just minutes away from historical downtown St. Augustine, fantastic shopping, dining, great golf courses, and top rated St. John's county schools. This is a NATURAL GAS COMMUNITY with Tankless Water Heater on every home!